Streaming services find themselves in a precarious position this year. The Digital Media Association (DiMA) pronounced a 53% increase in music streaming revenue in 2017. And industry experts like Josh Friedlander and Dina LaPolt point to streaming as the music industry's primary driver of growth. These opportunities seem positive on the surface, but streaming services are positioned under the overwhelming pressure of sustaining growth due to a few rapid changes affecting their operational standards of doing business. One particularly notable piece of news this week is the CRB's recent decision to increase mechanical rates for songwriters by 44%. Songwriters can now expect an increase in overall percentage of revenue from 10.5% to 15.1%, which certainly proves a great victory for rights holders, but indicates a suspected loss in revenue for Spotify, Apple Music, and other on-demand streaming platforms. Additionally, Spotify's move to go public this year only adds to the anticipation - not to mention their $1.6 billion lawsuit with Wixen for willfully infringing copyright of thousands of songs. On another note, this past Sunday's 60th annual Grammy awards show earned a 42% gain in total on-demand streams. Overseas, European music organizations are coming together to lobby for safe harbor reform to resolve the value gap problem between rights holders and user-upload sites like YouTube. The trade bodies like CISAC, GESAC, and many others wrote a letter to the European Union this week, pushing for an effective solution. In other news, Amazon, Berkshire Hathaway, and JP Morgan Chase announced joining forces to provide health care to their collective 1,000,000+ employees. It sent shutters through the health care industry on Wall Street and gave the talking heads all grades of fodder to pronounce the unbundling of health care in the United States as we know it. And it made me think for just a moment...about the music business. From the biggest stars to the attorney to the roadie to the indie to the rights administrator to the manager to the A&R woman to the door man at the Troubadour...we're all independents. We're all small businesses, in and of ourselves. And we all need health insurance!! I remember when I first moved to Los Angeles 15 years ago and knew a bunch of folks in the real estate business. I would bet good money that more than half renewed their license and membership with the Board each year solely to be able to continue to obtain health insurance, via membership in the Realtor Association. Can we, all of us in the music business, not collectively bargain for health insurance??? At least as an option for folks that might have a pre-existing condition or some circumstance that would otherwise prevent them from coverage, in the absence of being part of a larger group??? I've only just started to investigate and dig around for more information, but it would seem to reason that we could get better coverage for less money, if the insurance companies were able to spread their risk across many instead of individual people. I'm going to continue on this path and will report back here of my findings. If you have information about this idea or would be interested in helping, please do connect with me offline. The Prime Minister of Bulgaria, Boyko Borissov, recently was contacted by a consortium of trade bodies representing the music, film, TV, book, and football industries about the value gap problem surrounding safe harbor laws in Europe. Bulgaria has recently taken on the presidency of the European Union, and will be leading the EU Council as the safe harbour reforming copyright directive goes through its final stages. Among the music organizations are CIAM, CISAC, and, GESAC, which claim that user-upload sites like YouTube are exploiting safe harbor under EU law and effectively paying lower royalties to rights holders. The letter to Borissov states, “It is important to recall that the underlying policy objective of this legislation is to address the current unfairness in the online market due to the misapplication of copyright liability rules by [user-upload services]. We would therefore like to stress that the focus should remain on finding effective solutions to tackle this issue”. The 2018 Grammy Awards saw a plummet of 24% in TV viewership this past Sunday, but download sales in the US for the songs performed on the show saw a major increase of 328%, selling a near total of 74,000 downloads. According to Billboard, songs performed on the show earned a 42% gain in total on-demand streams. Some of the notable gaining songs, in terms of streams via on-demand audio services, were Kendrick Lamar’s “DNA” (734,000 streams; up 21 percent), Kesha’s “Praying” (867,000 streams; up 99 percent), SZA’s “Broken Clocks” (451,000 streams; up 55 percent) and Bruno Mars’ “Finesse” (2.3 million streams; up 20 percent). “Agreed and transparent metadata early in the process is the only solution to a sustainable music rights management system,” writes Niclas Molinder in a guest post published on Auddly this past week. Molinder describes the main reasons why building more databases won’t solve the metadata problem in music rights, because cross relations between publishers remain complicated, there’s a high risk of human errors, data quality is simply not accurate, and the data won’t be transparent for others to reference. Instead, the music business is in need of higher quality metadata. Molinder suggests collecting verified and completely accurate metadata from the original source in a prompt and efficient system that is closely connected to the creative process. By being open to these suggestions and removing the industry’s “silo mentality”, publishers, managers, and collecting societies could begin to collaborate in one system for collecting and matching data. According to the article, an estimate of 25% of music publishing revenue doesn’t make it to its rightful owners due to lack of accurate metadata. The Digital Media Association (DiMA), representing music streaming services and other digital music providers, predicts that streaming drove the 15% increase in 2017 U.S. digital revenue from $5.65 billion to $6.5 billion. The organization reported streaming revenue to increase by 53% to $3.4 billion from 2016's total of $2.2 billion, stating, “Digital streaming has saved the record industry, with ad-supported and subscription music services driving a third consecutive year of increasing revenue...The continued increase in digital music revenue is a clear sign that smart policies encouraging innovation and investment benefit everyone." Top music attorneys Donald Passman and Dina LaPolt and Senior VP of Strategic Data Analysis at RIAA, Josh Friedlander, contextualized how the Internet is saving the recording industry. The RIAA confirmed a jump to $7.7 billion total revenue in 2016, a major upwards trajectory from the significant downfall in 2000. The three agreed streaming remains to be the promising driver of growth for the music industry. However, Passman believed the biggest challenge for artists today is knowing how to be noticed and listened to by Internet users. Friedlander considered stream-ripping as the real obstacle, citing a current study that says more than half of all 16-24 year olds worldwide have illegally stream-ripped from YouTube and other streaming sites. LaPolt poised opportunity than challenge with the emergence of the Music Modernization Act. The bill was recently introduced to the Senate by Senator Orrin Hatch and Senator Lamar Alexander, and will revolutionize how songwriters will be paid for their works by streaming services. US companies are preparing for the EU’s General Data Protection Regulation (GDPR) as it will be affecting how businesses will operate in the treatment and management of user data, such as names, addresses, emails, and credit card numbers. The US has not yet secured regulation around information technology despite the increase in globalization on the internet, but the GDPR’s impact may very well spark legislative change in this particular sector over time. Lexology recommends automating legal processes in contract creation, user permissions, and data access in order to have greater security and control when complying with GDPR. The recent news of the Copyright Royalty Board significantly increasing rates for songwriters comes as a potential loss for streaming services like Apple Music, Spotify, Amazon, and Pandora. However, the new decision could possibly affect Apple’s music service positively in the long run as it could challenge the company’s competitors to adapt to new mechanical licensing standards. According to Jimmy Iovine’s statement in November, “The new royalties seem unlikely to faze Apple, Google, and Amazon - all of whom rank among the world’s richest companies and operate their music streaming services as complements to other products that generate most of their revenue.” He suggests instead that smaller and less diversified companies like Spotify and Pandora, despite their global reach and pioneer status in the streaming world, can eventually be left with a financial dent amidst the new royalty systems. Under the widely endorsed Music Modernization Act, songwriters could potentially lose unclaimed royalties as well as some rights to litigate, according to Chris Castle’s extensive article on the MMA’s failure to address the mass NOIs that allow streamers to use songs even when they can’t find the proper license holders. He states with dismay, “Unfortunately, the MMA does nothing that I have been able to find to address the some 60 million of these notices that have been served on the Copyright Office other than to say that the MMA’s blanket license would govern and that: previously filed notices of intention will no longer be effective or provide license authority with respect to covered activities.” The lack of retroactive payment can freeze the royalties coming in for songwriters. As such, Chris Castle suggests reviewing the mass NOIs and enact suitable regulations to provide safety for songwriters as intended in the Copyright Act of 1976. In May 2017, several class action lawsuits were consolidated within the $43 million settlement of the Ferrick v Spotify USA Inc case. 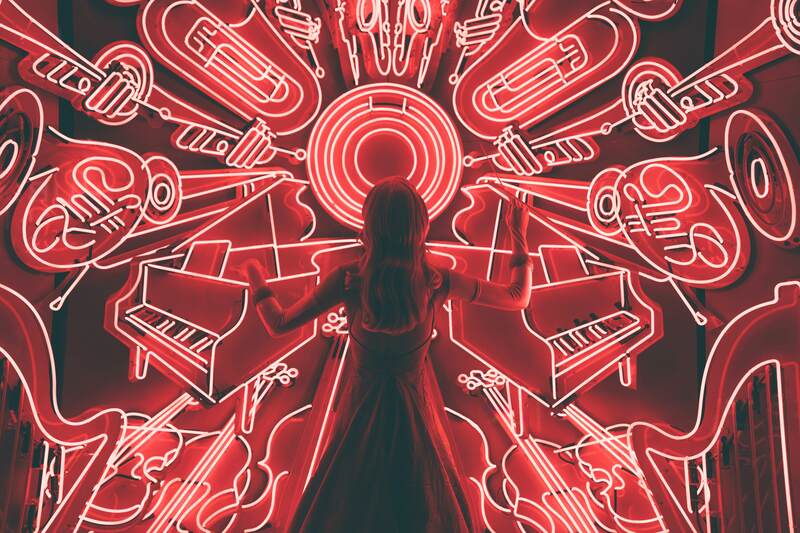 This is a large indication of how songwriters and music publishers have sued Spotify for streaming musical compositions without obtaining certain required copyright licenses. On December 29 2017, Wixen Music Publishing filed a $1.6 billion lawsuit against Spotify, claiming the streaming service failed to obtain a compulsory and directly negotiated mechanical license before continuing to stream Wixen’s songs. Wixen is eligible for statutory damages of up to $75,000 per copyright infringement or up to $150,000 for willful copyright infringement. The case doesn’t come as good news to Spotify’s plan to go public this year. Wixen’s damages claim is close to 10% of Spotify’s valuation of $20 billion. If other music publishers plan to file lawsuits along with Wixen, Spotify could be in potential trouble. Civil rights anthem “We Shall Overcome” entered public domain this past Friday after the producers of the 2013 film “Lee Daniels’ The Butler” challenged its copyright protection in federal court. The producers were planning to use the song in their documentary on the song’s history as well as in their film, but were denied permission and asked to pay as much as $100,000 for use. In September, a federal Judge Denise L. Cote of the US District Court in Manhattan granted partial summary judgment to the producers, saying the song’s adaptation from an older work was not original enough to qualify for protection. Since the early 1960s, royalties from the song had been donated to the nonprofit Highlander Research and Education Center in Tennessee for scholarships in black communities. While the case may no longer allow these royalties to be distributed, it is also an “enormously important achievement” for others to use the song as they wish and certainly not the only case to cancel the copyright of a time-honored song. A judge removed copyright protection on “Happy Birthday to You” in 2015. Peruse the complete list of winners at the this past Sunday. Ke$ha gets nod in her moving performance with Cyndi Lauper, Camila Cabello, Andra Day, Bebe Rexha, & Julia Michaels. Bruno Mars earned a total of 6 awards including the 3 major categories at the 60th Grammy Awards. Rapper 6IX9INE sits on top of the SoundCloud trending songs this week with "KEKE" featuring Fetty Wap and A Boogie wit da Hoodie. Nerve Clinic's "The Pattern" is the #1 Top Trending Song on Reddit Music.